In New Jersey, individuals over 21 years of age are permitted to drive with up to 0.07 percent alcohol in their bloodstream. However, once that percentage reaches 0.08 or higher, they can be charged with driving under the influence of alcohol because they have surpassed the legal limit. The penalties for any driving under the influence charge are severe but it is important to note that with each subsequent offense, the penalties escalate. In addition, when an individual is charged with driving under the influence with a BAC of 0.10 percent or higher, they are facing high BAC penalties that are greater than those associated with a standard DUI. After being arrested for a high BAC DUI, it is essential to retain the services of an experienced attorney who can explore all possible defenses in your case. 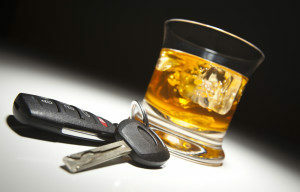 If you are facing DUI charges in New Jersey, contact our firm today.